The Los Angeles Department of Water and Power (LADWP) announced that Klondike Lake will be open to public boating seven days a week beginning Friday, May 25, 2018 through Labor Day, Monday, September 3, 2018. Access for motorized watercraft being transported by car, truck and/or trailer will be allowed daily for a one-hour period between 9 a.m. and 10 a.m. in order to accommodate inspections. After the watercraft have been inspected during that window of time, visitors can then use the lake for as long as they want that day. Recreational users with smaller, non-motorized watercraft that is being carried and not being transported by car, truck and/or trailer can access the lake anytime. Precautions are still being taken to guard against invasive mussels, so all motorized watercraft must be inspected before being launched into Klondike Lake. Inspections will be done only at the lake entrance gate during that one-hour period. 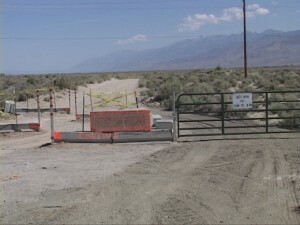 In order to access Klondike Lake, boaters must pre-purchase a daily-use inspection receipt or a new season pass at the LADWP Administrative Office in Bishop; Klondike Lake inspectors will not handle any sales or cash at the gate. The LADWP office is located at 300 Mandich Street in Bishop. Klondike Lake inspection receipts and season passes must be purchased during normal work week hours,Monday through Friday, from 7:30 a.m. to 4 p.m. The charge for a one-day use inspection fee is $10, the same as it was last year. Season passes are $100 for the first boat and $50 for each additional boat. For more information, contact LADWP at 760-872-1104.